Password management leader, Dashlane, continues to provide users with the best tools to manage your security online for any device. Back in 2014, I caught wind of a password manager called Dashlane and I thought I'd give it a try. After downloading and using it for a while, I decided to write a review about Dashlane recommending it if you were serious about managing your passwords and making your personal data secure. Their ability to encrypt the data, secure it across multiple platforms, and have it accessible almost anywhere (except to those who don't own it) was a huge selling point to me. 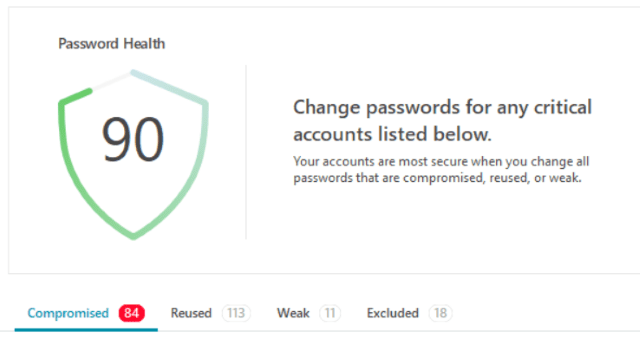 In the last review (which was Dashlane 4.0), I included everything about Dashlane that sold me on this awesome password manager and the features making it attractive to others who wanted to keep their data secure. At the end of July this year, Dashlane announced version 6.0 with even more security features. At the core of Dashlane is their password management system (called Vault) for websites, secure notes, personal info, IDs, payments you've made, and receipts on web purchases. Long-time customers will be happy to hear this hasn't changed. I'll review the new features included in this version. They've up-ed their game with enhanced password management by adding a Password Health section under Security. This new feature of 6.0 gives you a real-time view of your passwords notifying you of compromised, reused, weak, and excluded passwords across multiple websites. Click on one of these "tabs" to show the websites at risk. 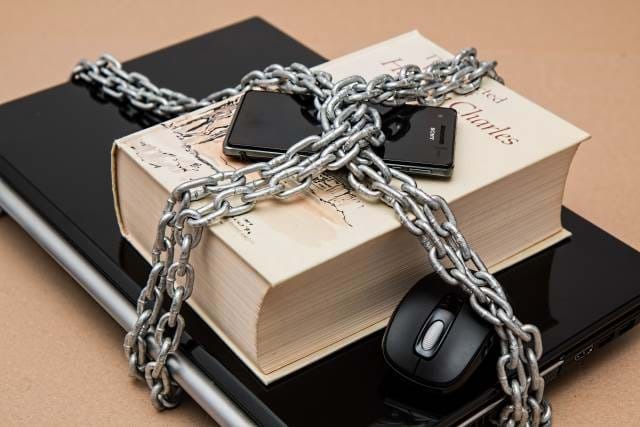 Along with HTTPS websites, VPNs (Virtual Private Networks) are important to secure your notes while on the go. Another feature of Dashlane 6.0 is the ability to connect to your own private VPN to secure your notes. This feature is only available in the Premium or Premium Plus version and you have a 1GB storage limit. They mentioned how you can operate the VPN with an unlimited number of devices with unlimited data use. I love this feature. If you want to find out more about how to use the VPN feature, check out the documentation on VPN. The Identity Dashboard includes a number of security alerts on the right-hand side to help you understand the impact of each issue. For example, there was a recent password breach on Twitter and a security alert made me aware of it describing how many web accounts were affected in this breach. It's good to see these items on the right and have Dashlane continuing to work behind the scenes helping users know where security alerts occur and with which account. We all hear about the Dark Web, but how do you know if your email address is out there getting passed around without going out to the dark web? The Dark Web Monitoring feature allows you to submit up to five email addresses to Dashlane and verify whether they're being used on the dark web or not. Their service scans more than 12 billion records with almost 1 million new records being added every day. So if something occurs, Dashlane alerts you of possible tampering with any one of your emails. This feature allows you to view your current credit score and history using TransUnion's services. Dashlane takes it one step further and notifies you through email whether specific events trigger a credit check. This is specifically a Premium Plus feature and not included with Premium. While this isn't integrated into the software (at least I don't think it is), Dashlane offers Identity Restoration support through TransUnion's services. These services are U.S.-available over the phone. It's just another great service offered to customers who are always on the go and could possibly have their identity stolen. Again, this service is available through the Premium Plus subscription. Finally, this is another interesting service available through the Premium Plus subscription. If your identity is stolen, Dashlane covers up to $1 million for Identity Theft Insurance. I'm currently on the Premium plan and I'm very happy with the service I've seen so far in the software. Then again, I've never had a bad experience with Dashlane since I purchased it. The browser extensions still work as expected for Chrome, Firefox, Edge, and IE. The password generator is extremely helpful when I need to create a brand new password. The searching capabilities are top-notch and I always find what I'm looking for when searching for the proverbial "needle-in-a-haystack" secure note. Sharing Center to let my family know what the password for Netflix is when installing it on a new device. As you can see, Dashlane 6.0 is a quality password manager and continues to move beyond password management by providing users with the best security support available. If you are ready to make the jump to a secure password manager, check out Dashlane 6.0. Also, don't forget to check out the Dev Deals page for specials on Dashlane and other products I recommend. Do you have a different password manager? What is your favorite feature? Post your comments below and let's discuss.